This week's Daily Record column is entitled "Lawyers: Use your head when mining social media for evidence." Last week, Rochester criminal defense attorney Gary Muldoon was kind enough to bring to my attention an interesting Texas decision: Youkers v. State, 2013 WL 2077196. This is one of many recent cases addressing the issue of judges using social media and whether their social media connections and interactions affect the trials over which they preside. In Youkers, the assault victim’s father happened to be Facebook friends with the judge presiding over Youkers’ trial and sent the judge a private message in which he requested a lenient sentence for Youkers. The judge, upon realizing that the message was an improper ex parte communication, stopped reading the message, sent a reply message stating that the message was a violation of ex parte rules, notified both lawyers regarding the incident, placed a copy of the message in the court’s file, and contacted the judicial conduct commission to determine if any other steps needed to be taken. The judge did not recuse himself from the matter. Youkers then brought a motion for a new trial based, in part, upon the allegation that the judge was unable to be impartial and should have recused himself due to his social media connection and his Facebook interactions with the victim’s father. During a subsequent hearing on the motion, the judge testified that he was simply acquaintances with the victim’s father and knew him only because they had both run for office during the same election cycle. Aside from the one set of messages that they’d exchanged relating to the trial, there was no other contact on Facebook and he had never read posts on the victim’s father’s Facebook wall. The bottom line: judges are people, too, and social media is here to stay. This court wisely accepted these realities rather than operating in a bubble of denial. All in all, this was a well thought out opinion that is in keeping with the conclusions reached by most jurisdictions which have addressed the issue of judges using social media sites. Mining social media for evidence to support a case is all the rage these days. That’s because lawyers are finally comprehending the popularity and vast reach of social media. As a result, attorneys are quickly realizing that social media has the potential to be a gold mine of evidence in support of their clients’ cases. Of course, as an attorney, you’re subject to ethical rules which necessarily affect how and when you can mine social media for evidence. Most lawyers are aware of these limitations and carefully consider their ethical duties before diving into social media to mine for evidence. But not all of them, as evidenced by the actions of former Cuyahoga County, Ohio, Prosecutor Aaron Brockler, who has admitted to assuming the alias of a woman on Facebook and then contacting alibi witnesses of an accused killer whom he was prosecuting. He pretended to be a fictitious former girlfriend of the accused and then engaged the witnesses in a Facebook chat, during which he encouraged the witnesses to change their testimony. Clearly Brockler has failed to stay abreast of the multitude of ethics decisions that have been handed down over the past few years which address attorneys’ ethical obligations when mining social media sites for evidence. Overwhelmingly, ethics committees across the country have concluded that lawyers may not engage in deception when attempting to obtain information on social media, regardless of whether the party from whom information is sought is represented by counsel. See, for example: Oregon State bar Ethics Committee Op. 2013-189 (lawyer may access an unrepresented individual’s publicly available social media information but “friending” known represented party impermissible absent express permission from party’s counsel); New York State Bar Opinion No. 843 [9/10/10] (attorney or agent can look at a party’s protected profile as long as no deception was used to gain access to it); New York City Bar Association Formal Opinion 2010-2 (attorney or agent can ethically “friend” unrepresented party without disclosing true purpose, but even so it is better not to engage in “trickery” and instead be truthful or use formal discovery); Philadelphia Bar Association Opinion 2009-02 (attorney or agent cannot “friend” unrepresented party absent disclosure that it relates to pending lawsuit); San Diego County Bar Association Opinion 2011-2 (attorney or agent can never “friend” represented party even if the reason for doing so is disclosed); and New York County Lawyers Association Formal Opinion No. 743 (attorney or agent can monitor jurors’ use of social media, but only if there are no passive notifications of the monitoring. The attorney must tell court if s/he discovers improprieties and can’t use the discovery of improprieties to gain a tactical advantage). Obviously, Brockler didn’t get the “no trickery” memo, since the entirety of his Facebook interactions were rooted in deception. He also seems incapable of understanding the concept that lawyers are governed by a code of ethical conduct not applicable to police officers. Perhaps now that he has more free time on his hands, he’ll make good use of it by studying the ethical rules of conduct governing Ohio attorneys. And, the next time you decide to mine social media for evidence, why not ensure that you’re complying with the applicable ethical rules of conduct as well? That way, unlike Brockler, you won’t put your job — and quite possibly your law license — at risk. This week's Daily Record column is entitled "Virginia ethics committee rules on virtual practices." In March, Virginia joined the growing number of jurisdictions that have addressed the ethical issues presented by lawyers who use cloud computing in their practices and/or practice law from a virtual office. So, why are so many ethics committees are suddenly addressing these issues? 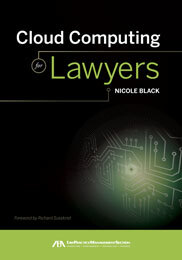 Well, it’s because lawyers are increasingly using cloud computing platforms in their law practices and are opening up virtual law offices (made possible by virtue of cloud computing technologies). So, it only makes sense that as these Web-based tools become more popular with lawyers, more lawyers are requesting that their jurisdictions provide ethical guidance regarding the appropriate steps to take when using these technologies in the practice of law. Thus far, a number of states have handed down opinions which green light the use of cloud computing by lawyers, including Alabama (Formal Opinion No. 2012-184), Arizona (Opinion 09-04), California (Opinion 2010-179), Florida (Proposed Advisory Opinion 12-3), Iowa (Opinion 11-01), Maine (Opinion 194), Massachusetts (Opinion 12-03), New Hampshire (Opinion 2012-13/4), New Jersey (Opinion 701), New York (Opinion 842 and Opinion 940), Nevada (Opinion 33), North Carolina (2011 Formal Ethics Opinion 6), Oregon (Opinion 2011-188), Pennsylvania (Opinion 2011-200), and Vermont (Opinion 2010-6). So, the use of cloud computing by lawyers is now expressly permitted in Virginia, just as it is in every other jurisdiction where this issue has been considered. At this point, I think it’s safe to say that the jury is no longer out and the verdict is in: cloud computing and virtual law offices are here to stay and can be ethically used by lawyers in the representation of their clients. It’s no longer a matter of whether lawyers can use cloud computing in their law practices; instead, it’s simply a matter of what steps must be taken prior to doing so. Signup for a free webinar, hosted by MyCase, on June 27th, 2013 at 11am PDT / 2pm EDT. At the webinar, Carolyn Elefant and I will discuss the top ten ethical red flags your firm should consider when taking on new technology. CLE Accreditation Pending – MyCase is currently working with the California State Bar to be able to provide free CLE credit to webinar attendees. 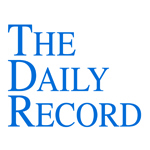 This week's Daily Record column is entitled "The latest in Android apps for lawyers." A while ago I wrote an article that focused on resources for Android-toting lawyers and promised that I’d follow up with an article on Android apps for lawyers. Well if you’re a lawyer who loves Android devices but haven’t yet figured out which apps will help you in your law practice, you’re in luck! What follows are some great Android apps that will help you to stay on top of your law practice no matter where you are. And before I start, I’d like to extend my thanks to Rochester attorney Steven Feder, an avid Android user, for sharing his favorite list of Android apps from a recent presentation that he gave on this very topic. His list was a wonderful resource and helped me tremendously in drafting this article. First, let’s focus on the substantive legal apps developed for lawyers using Android devices. For conducting free legal research on the fly, look no further than the Fastcase app. Another great resource is dLaw, which provides free access to federal statutes and rules along with access to Google Scholar’s legal research capabilities, and also offers paid access to various state statutes and rules. For a functional legal dictionary, there’s LawGuide. Another great resource is the NYSBA’s ethics app, which provides full, searchable access to all New York ethics opinions. For specific practice area tools, there’s Karl’s Mortgage, a mortgage amortization app and QuickTax, an app that is chock full of tax-related information. Picture it Settled is an app that is currently free, although that may start charging an access fee down the road. This app aids in settlement negotiations by using predictive analytics — including vast amounts of settlement data — to assist lawyers during negotiations. And of course, there are apps devoted to legislative and Supreme Court topics, including We the People (the full text of the U.S. Constitution), Congress (everything you ever wanted to know about Congress and pending bills), and PocketJustice (everything you ever wanted to know about the U.S. Supreme Court). If a mobile office is what you seek, the following apps will help you achieve that goal. First, there’s Documents to Go, which is a great, albeit somewhat pricey ($24.95), word processing app that allows you to create Word documents. Next, ScanToPDF is a really handy app that turns your Android device into a scanner. EFax is a mobile fax app that is a really useful tool, but you have to sign up for their eFax service in order to use it. Finally, there’s SignEasy, an app makes it easy to sign a document using your finger or of stylus and then share the executed document via email. And last but not least, a few apps that turn your Android device into a personal assistant. First there’s SpeakToIt, an app that allows you to speak to your phone in order to obtain all sorts of information and also performs tasks and notifies you of important events. And, finally, DictaDroid ($1.99) is a dictation app that transforms speech into text. So there you have it. A great list of Android apps for the mobile 21st century lawyer. Download a few and see how much you can get done using just your Android device.